Today we welcomed Abbey Parkhouse from Aberlour Child Care Trust, the organisation we supported during Advent and Christmas. 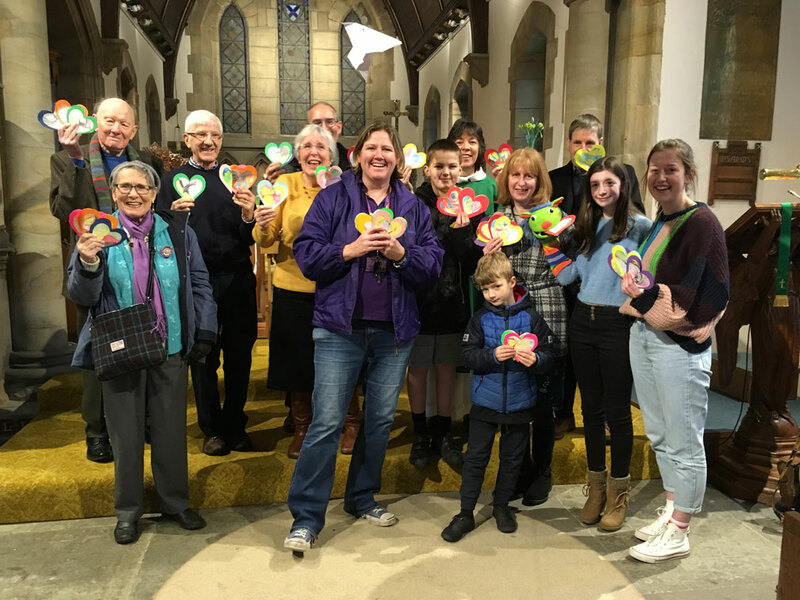 She was delighted to receive our donation of £1,000 and also heart-shaped cards made by members of Young Church and the Craft Group with messages of encouragement for the children written by the congregation. We are looking forward to visiting some of Aberlour’s projects in the Spring.